Last summer my girlfriend and I were eating in the outdoor dining area of our favorite burrito place. I glanced across the street and saw this boxy station wagon with very long tail lights. It was dusk and it was tough to see. I had absolutely no idea what it was. I know cars. Even cars I'm not particularly fond of I can usually identify. What the hell was this? I went home and did a Google search. "Station wagons with vertical tail lights." A bunch of Volvos popped up. "Boxy station wagons with long tail lights." More Volvos. "Boxy station wagons with long vertical tail lights that aren't Volvos." More Volvos appeared on the screen. Thanks, Google. I figure that I had seen a unicorn and would go to my grave never knowing what it was. A few weeks later I was in a shopping center parking lot. Pulling out of a parking spot was the car I had seen that night. I sped up to get behind it. On the tailgate was a Mitsubishi logo. 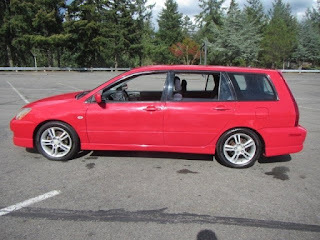 I went home and googled "Mitsubishi station wagon." After scrolling for a bit I found it. What I had seen was a 2004 "Mitsubishi Lancer Sportback." While I hadn't seen a Unicorn that night, it would be fair to say that I saw a Zebra. Like the Zebra, the Lancer Sportback exists. There just aren't many of them. The Lancer Sportback was available in two different versions; the base LS and this, the Ralliart. To the best of my knowledge, it was only available in the U.S. in 2004. 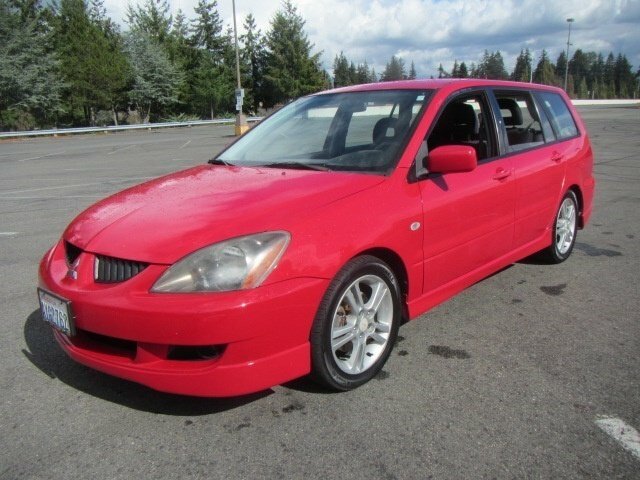 The Ralliart was the sporty model and came with some cool features the LS didn't have. Among other things, the Ralliart had a stiffer / lower suspension, some sport seats, a cool instrument cluster and a few more horsepower. What it didn't have was a manual transmission. 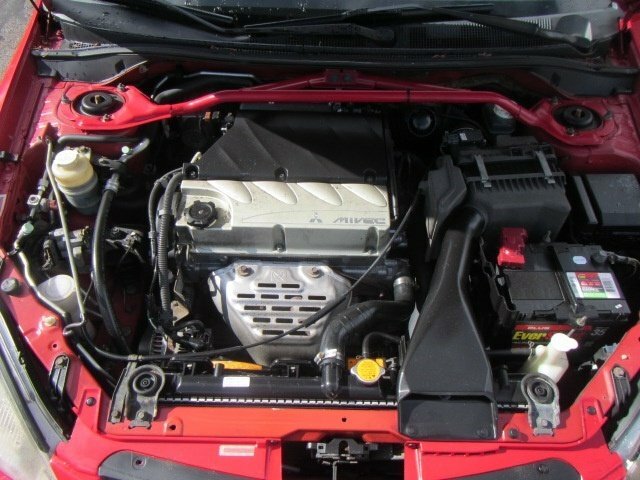 From what I gather, the other Lancer models - including the Ralliart sedan - could be ordered with a manual transmission. The Sportback Ralliart could not. Go figure. I love the body style of the Sportback. 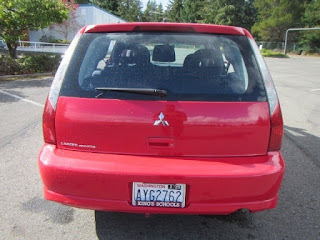 The Lancer sedan was plain looking. The Sportback looks like few other cars. You notice the Sportback. 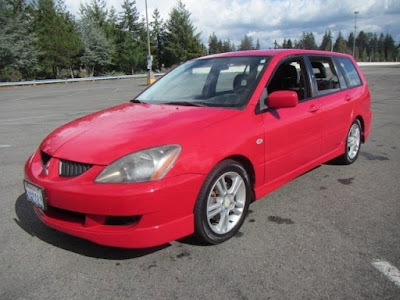 This Ralliart looks to be in overall decent condition. The paint could use a buffing and the miles are on the high side (191K), but it appears to be complete and without any visible damage. 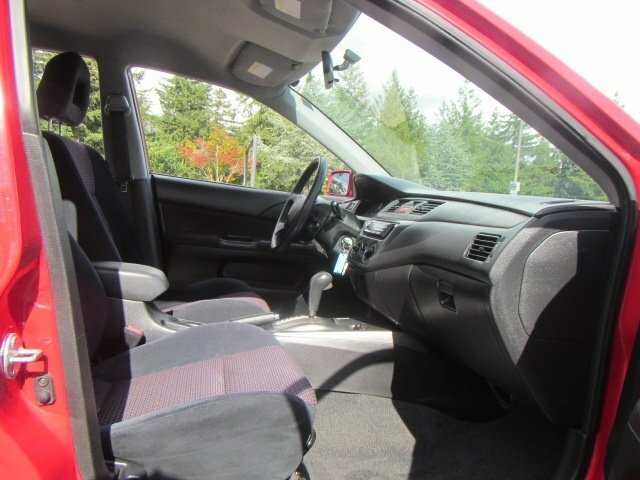 Located in Shoreline, WA, click here to see the dealer's ad. Oh God, I wouldn't touch one of those with a 10-foot pole. It will crumple like a soda can if it was in a high-speed front end collision.